In January, I attended the gdb Conference – did I see you there?  If not, you missed a great opportunity (as the conference title said) to… Re-Energise You, Your Team, Your Business. We had four impressive speakers, with inspiration & advice for business leaders. Starting off with overcoming adversity, Richard McCann shocked us with his life story, starting with his mother’s murder & subsequent battles with depression, drugs & the law. Despite this, he’s developed a positive attitude. He believes in himself & that’s what makes him succeed. His motto is “I can – I will – I did”. Julie Barker of NatWest talked about Diversity as a Business Asset. Did you know that companies with a gender & ethnicity balanced workforce outperform others by 30%? She talked about barriers to entrepreneurs (& indeed anyone in the workplace), one being the lack of role models & mentors. I wonder if this is an opportunity for gdb – this could help both promote our members & help others to develop. John Young shared his experiences of running a fast-paced BBC news programme; it was so interesting to see behind the scenes. He advised us to keep things short & focused: don’t have a 30 minute meeting, make it exactly 27 mins 45 seconds. Lastly, Linda Moir who is ex-Virgin Atlantic & running the Games Makers at the 2012 Olympics. She has 3 rules for managing people & volunteers: Keep them busy – a bit of pressure is good, but not too much; Rotation – variety keeps it interesting; Recognise people & their needs – say thank you! As with last year’s gdb conference, I certainly went away feeling re-energised. Many people have told me how they found it interesting & useful. 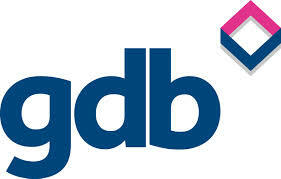 I’m thinking now about opportunities for gdb service offerings – how we can even more help you & your business. I’d also like to say thank you to the sponsors: University of Sussex Business School, Reigate & Banstead Borough Council, NatWest & Red River.